Owing the IRS back taxes is never fun. Not having enough money to pay your taxes or other bills can be extremely stressful and frustrating. This especially can be challenging while living on a fixed income, such as Social Security benefits. Sadly, many people who are living off of their Social Security payments have been levied by the IRS. If you have not paid income taxes in Virginia, the IRS can levy your source of incomeeven if that means your Social Security benefits. However, there is a limit the IRS can take, which is 15 percent of your benefits. While it may seem unfair that the IRS can levy Social Security benefits, it is legal under the Federal Payment Levy Program for them to do this in order to pay your tax debt. 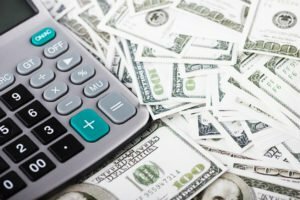 For help with your tax case, call the Northern Virginia tax lawyers of Sodowsky Law Firm for your IRS needs and let us turn your tax problems into a resolution. Call us today to schedule your confidential consultation. You can also contact us on our website at http://www.sodowskylaw.com and view our informative articles and other educational resources that may help you during this time. To talk about your tax issues and learn about your rights, contact the Sodowsky Law Firm in Fairfax at 703.476.1176.